Lots of fruits on the nose with pears, apples, peaches and pineapples. This is followed by a spicy note of tobacco leaves and subtle oak, accompanied by a pleasant sweetness of toffee and vanilla. Hints of bitter dark chocolate with a slightly flowery note in the background. Pleasantly sweet on the palate with cane and tropical fruits. Warm with spiced oak, tobacco leaves, pepper and cedarwood. Stays sweet with vanilla and toffee towards the finish. The finish is medium long, warm and creamy with vanilla and oranges. Sweet with toffee and cane on the tail. Water significantly tames the sweetness on the nose while more spiciness with cedarwood, acacia honey, tobacco leaves and leather is coming through. The vanilla and cane sweetness, however, remains on the palate, followed by spiced oak, pepper, cedarwood and tobaccco leaves. Quite warming and prickling on the tongue. The finish is medium long, lovely sweet with vanilla, toffee, cane and a whiff of citrus on the tail. 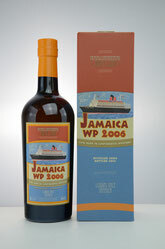 This Caribbean Rum is multi-layered and pleasantly harmonious in aroma and taste. It shows the typically tropical fruitiness with a delicate, not exaggerated sweetness and a warm and spicy backbone. To be savoured neat on a warm summer night.